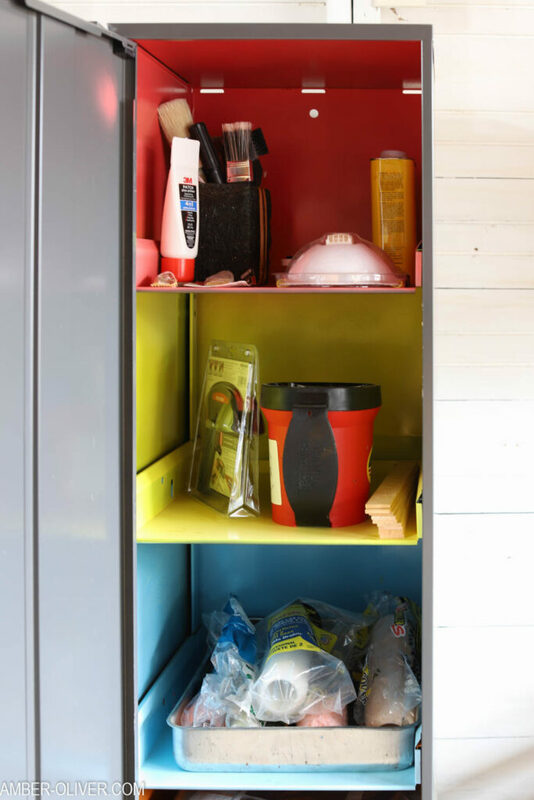 Looking for garage organization ideas? This post is sponsored by Hirsh Industries! Tidying Up with Marie Kondo on Netflix and realized I was already using some of her basic tips. I’ve used her folding method for years without even realizing it was hers! 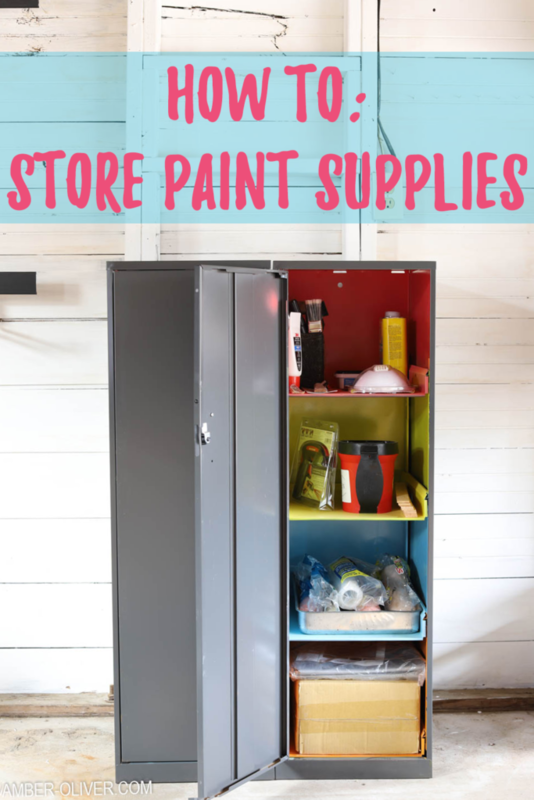 I’d also done a pretty good job keeping our garage organized – I had similar things grouped together but I didn’t have a good way to store paint supplies. They were mostly piled up on an old work bench. 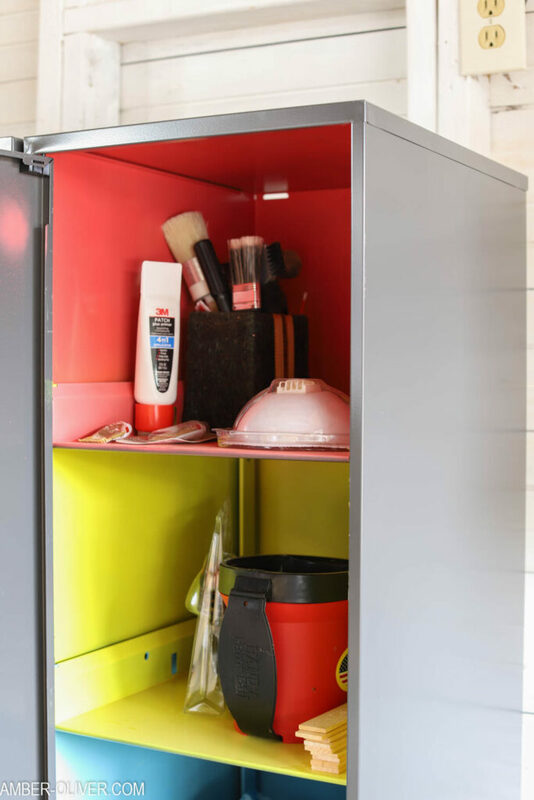 Enter these Office Dimensions Personal Storage Cabinets from Hirsh Industries! These cabinets were perfect for our space! 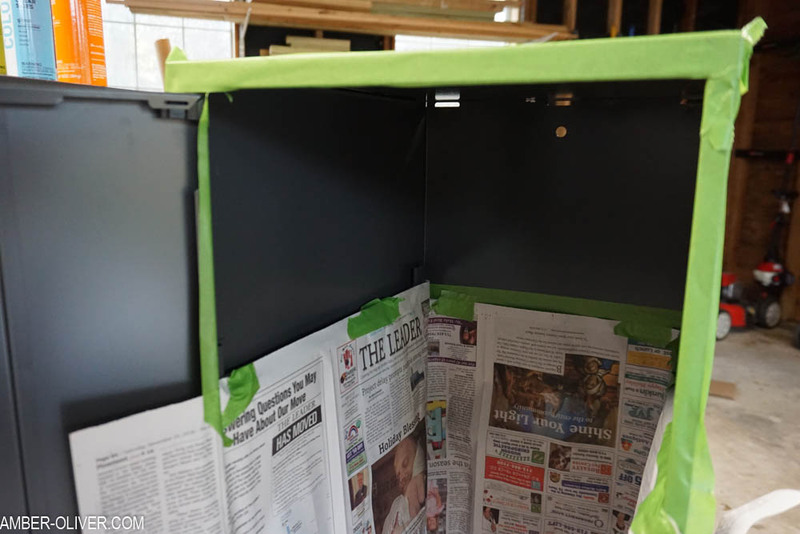 They come in either 3 shelf or 4 shelf options – I opted for the 4 shelf option for more space to store paint supplies! I started by taping off the areas I didn’t want painted. I then added newspaper to cover the other painted areas. I used a bright selection of COLORSHOT spray paints from JOANN. 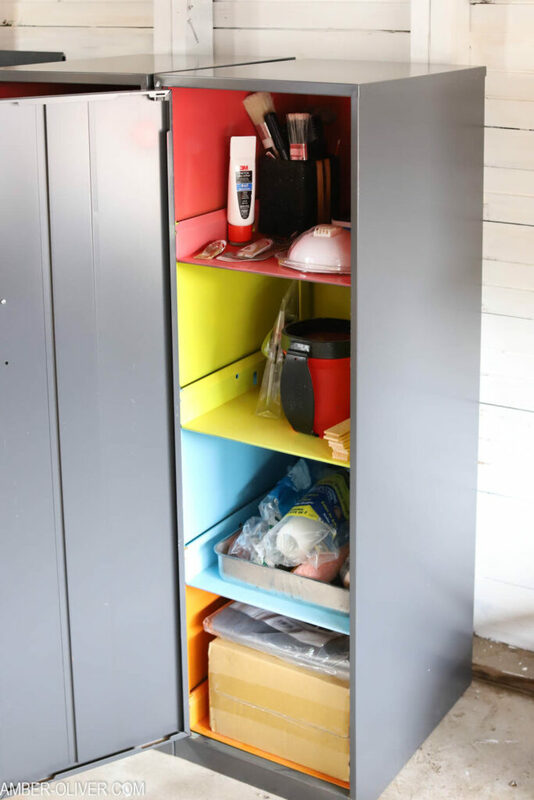 The colors were brilliant and really transformed these cabinets! I laid the shelves out and gave them 2 quick coats of spray paint. 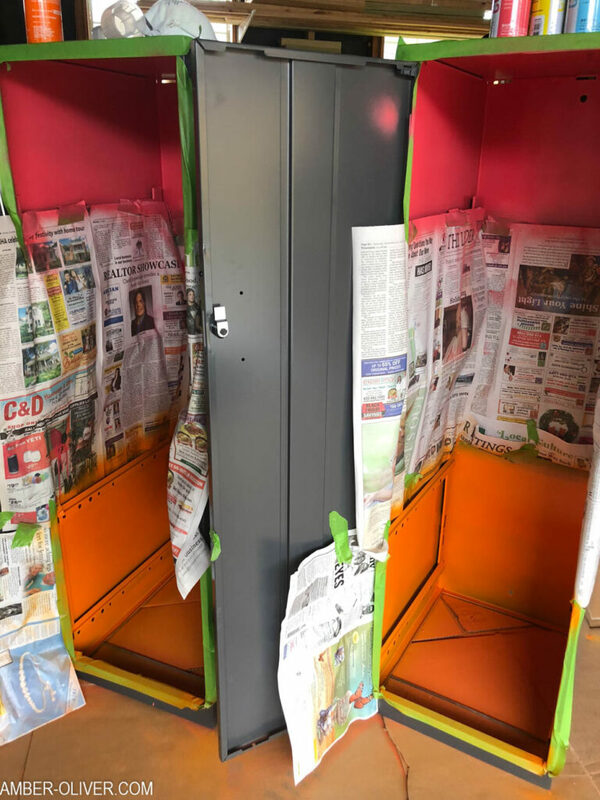 Painting the cabinet took a bit of time. I had to tape off each area and wait for the paint to dry before moving onto the next section. Not too hard, just a bit time consuming. Oh, and unless you want rainbow lungs I suggest wearing a mask when spraying in this small space! 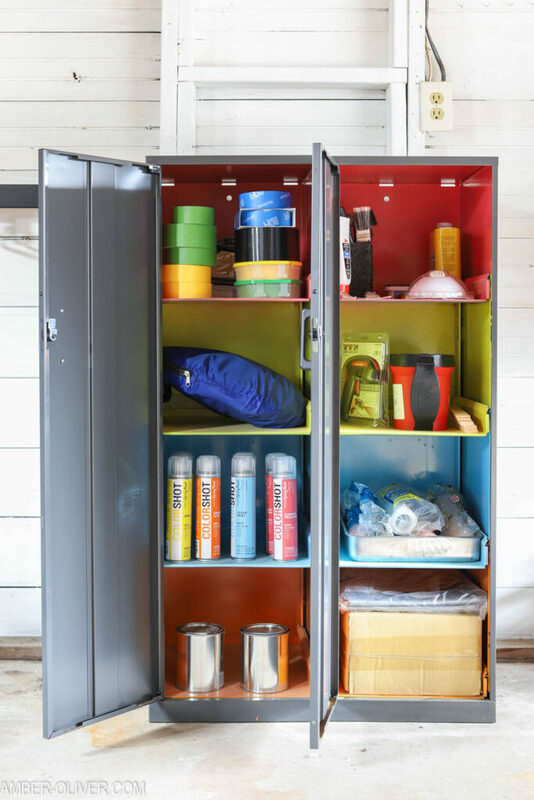 Our cabinets turned out beautifully and are the prefect place to store paint supplies! 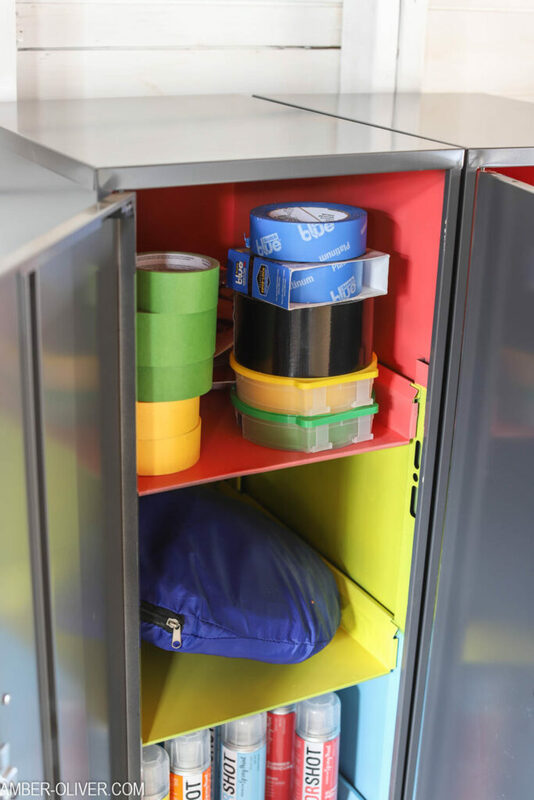 I was able to separate everything out in the different shelves and the handy locks on the front are the perfect way to keep everything secure! The Office Dimensions Personal Storage Cabinets are available via Amazon! 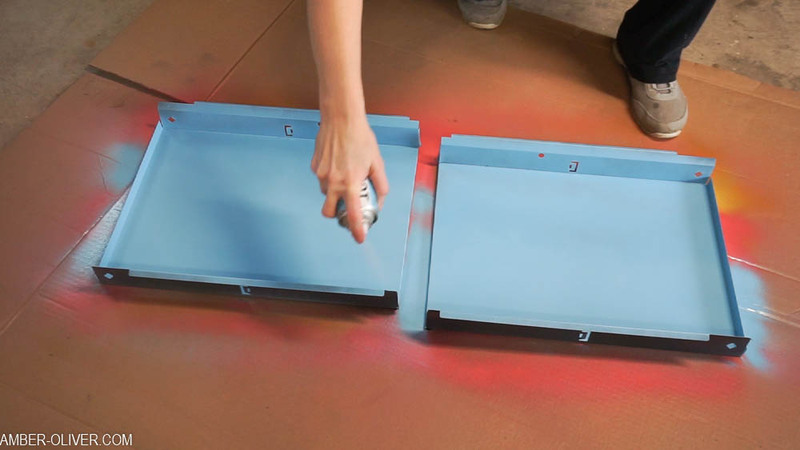 They are shipped fully assembled – you only have to attach the handles! 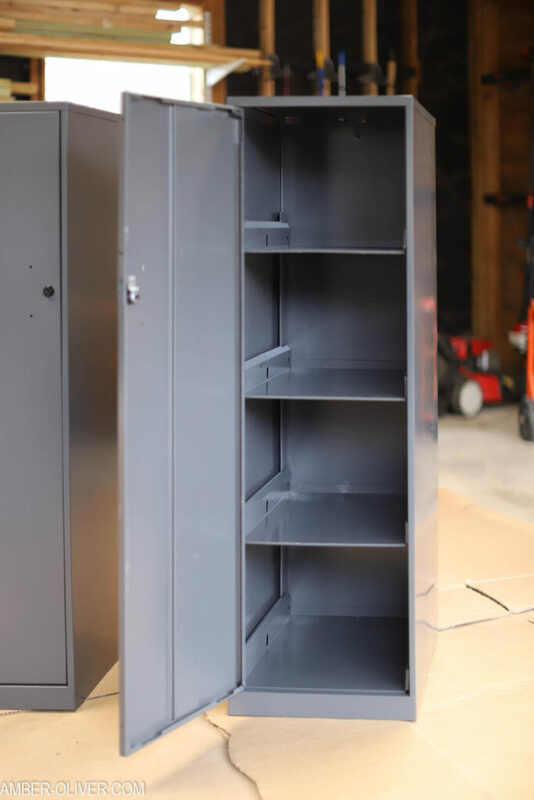 They are light-weight and easy to move around so you’ll be able to move them in place easy peasy 🙂 These cabinets come in two different sizes and are *perfect* for the garage!